Fugitive businessman Mehul Choksi should come and face the allegations in the country, that's the standard for everyone, said Congress leader Salman Khurshid. 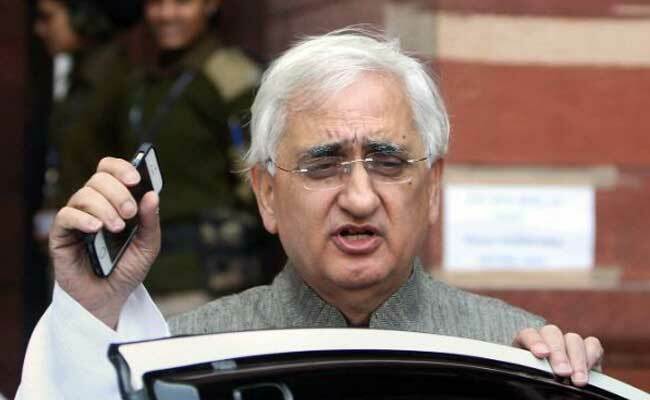 Salman Khurshid said Mehul Choksi should come back and face the institutions of the country. Congress leader Salman Khurshid on Wednesday said that if fugitive businessman Mehul Choksi believes that the allegations leveled against him by the Enforcement Directorate are false and baseless, he should come back to India and face the institutions of the country. His comments come in the wake of Mr Choksi's video statement, in which he claimed that he was being made a "soft target" and was undergoing a "media trial," adding that "all the allegations leveled by the ED are false and baseless. They have attached my properties illegally without there being any basis of the same." Speaking to ANI, Mr Khurshid said, "I am not an appellate authority on the ED, the ED has made allegations, if they are false and baseless, Mr Choksi should come and face them in the country, that's the standard for everyone." Mr Khurshid emphasised, "If allegations are made against you, you go to a court and answer it, the courts will finally prevail. If what you are saying is correct, the courts will support you. So why is he running away if he believes that what the ED is doing is wrong? He should come back and face the institutions of the country." Echoing similar thoughts, Congress general secretary Shakeel Ahmed said that if Mr Choksi has nothing to hide, he should return to the country and face the charges leveled against him. "Every person who has wronged says these things. There is evidence against him. The Prime Minister, who calls him "Choksi bhai," the ED and other agencies have made the allegations against him; it is not like the Congress party has leveled the allegations. He is making such statements just to save himself. If he did not do anything wrong then why is he hiding? He should come back and face the charges," Mr Ahmed told ANI. On Tuesday, Mr Choksi issued a video statement, in which he held the Punjab National Bank (PNB) responsible for misinforming the investigative agencies, adding that it was unprecedented how his company came to a complete standstill without thorough investigation. Mr Choksi, along with his nephew Nirav Modi, is the prime accused in the over USD 2 billion PNB scam. He is absconding and is currently in Antigua and Barbuda, with the Indian government trying to extradite Mr Choksi under diplomatic provisions.